On a favorite local radio talk show this morning some local reps from travel agencies that deal with mass market tourism were being interviewed, and frankly I was a bit astounded by their comments. I think it's worth noting that all these travel agencies seem to work only with Ixtapa's hotels, which right there raises alarms with me. The local Oficina de Convenciones y Visitantes (OCV) claims that over a million foreign tourists have visited our destination during the past 3 years. I gotta call BS to that. I simply don't believe that stat. Quite the contrary, it seems to me the past 3 years INMO have represented a loss of foreign tourists. The only increase I've noticed has been tourists arriving by bus who practically don't spend any money here. And these travel agencies all seem to concentrate on the same market regions as always: Minneapolis, Chicago, Pacific Northwest (Vancouver, Seattle, Portland), California, and Arizona. East Coasters (where most of the USA's wealth is concentrated) remain ignored. And they all kept talking about how we are in competition for the same tourists as Cancún, Vallarta and Los Cabos, something I vehemently disagree with, and that we need to diversify our offer (i.e. become more Disneylandish) to attract more tourists and recover our market shares. Again, I have a strong opinion to the contrary. I commented on air that IMHO we are losing affluent tourists basically for 3 reasons. Insecurity, the proliferation of noisy bars, and the lack of upkeep by the city of our basic tourist infrastructure. I also commented that there is no promotion abroad of our destination. I see ads all the time on CNN and other nationwide programs for my former home of St. Croix in the US Virgin Islands. A place with about half our population. How is it possible they have beautiful classy ads on prime national and international TV programs and we don't have squat? Our combined state and local tourism offices have a much larger budget. Our national tourism agency has over 158 million dollars budgeted for 2017 to promote Mexico's tourism, yet I believe most of it is squandered on inflated salaries, personal trips, parties, conventions and many other questionable matters. But hey, if you all are seeing wonderful ads promoting Mexico then I could be mistaken, but I don't believe so since I have access to many of the same TV stations and newspapers as you, and I don't see much promo for Mexico, and absolutely nothing for Zihuatanejo or Ixtapa. What do you all think? Polite comments welcome. My saint of a wife Lupita wanted me to post a couple of photos from yesterday when she fitted a couple of local fishermen with donated glasses. Their ear-to-ear grins speak for themselves. These guys were tickled pink to regain some of their vision. A HUGE THANK YOU from Lupita to everyone who has brought donated glasses. Please keep them coming. Lupita is also making up packages of donated school supplies to distribute to needy children, and she expects to have that done soon. Again, please keep the donations coming if you can. The need here is very great. ¡Gracias! "I have a strong opinion to the contrary. I commented on air that IMHO we are losing affluent tourists basically for 3 reasons. Insecurity, the proliferation of noisy bars, and the lack of upkeep by the city of our basic tourist infrastructure." We completely agree, these are the three main points of concern for us. Although we can't hear the noisy bars from Arena Suites we certainly sympathize with those who's nights sleep is interrupted. For us number one is repairing and maintaining El Andador del Pescador, that's the signature landmark of Zihuatanejo, I doubt we would have returned so many times if that were not there. As for security. we haven't felt threatened but we do use good common sense as to where we go after dark. Could it be that more and more of the "younger" travellers (the under 50 people) are seeking a more vibrant, fun party type vacation? 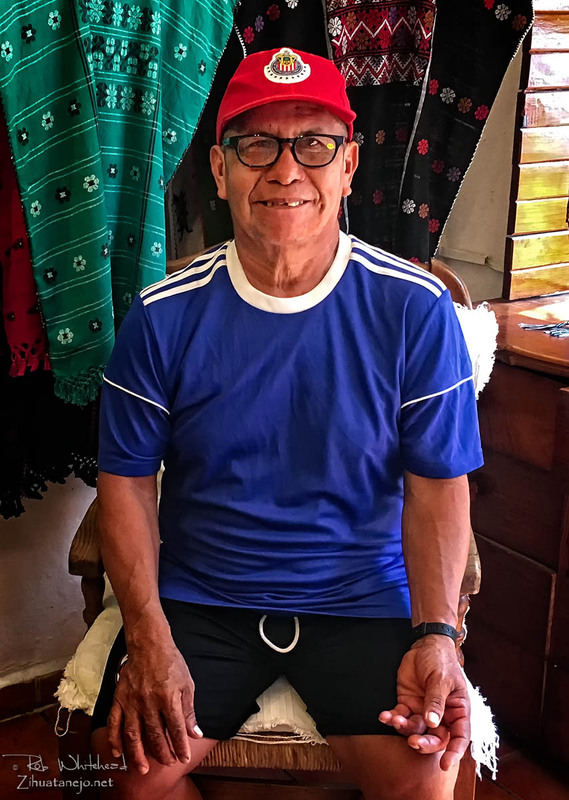 I would be in the 50+ and more catagory and do seek the quiet vacation that both ixtapa and zihua offer, maybe there are less and less of us as the years pass by. There is some party atmosphere in ixtapa/zihua if you want it but nothing like the los cabos, cancun playa del carman locations. And yes..not easy or cheap to get here, few flight opportunities, i think it is the old supply and demand thing...fewer seats sold=fewer flights. You would think with all the hurricane damage in puerto rico, the dominican etc we would be flooded with people searching for an alternative and once they get to this paradise i think their return would be a no brainer. Unfortunately there are no direct flights from New York City and the trip is not easy when you are 60+. My husband and I have been coming to Zihua for over 30 years and still come for 1 month mid January to mid February. Next week we are going to the Riviera Maya for 1 week and it is not nearly as wonderful as Zihua.....but it is 31/2 hours away and 1 flight. Every day we are there we will wish we were in Zihua. I think Zihua should be promoted for what it is with its quaint, botique lodgings. The fishing. The local ecotourism attractions. The Maya ruins, it's very laid back atmosphere and the friendliness and kindness of the locals. It is a totally separate experience that Ixtapa and while I know there are a lot of people who are looking for places like Ixtapa I think that they should be promoted separately. As for what needs to be done. A visible police presence would be nice. Better attention to lighting walkways and dark areas, better maintenance of the amenities along with closer attention to keeping it clean would all be nice touches. Enforcement of the late night loud music laws would also be helpful, though I know that is complicated. This is just off the top of my head. I may think of more and I am sure others will chime in. I agree with all the comments posted so far, especially calling for some restraint on noise. On tourism to Mexico in general, I've noticed more and more ads for all-inclusive destinations in Mexico that do not even mention the word "Mexico". They prefer more positive terms like "the Mayan Riviera" or "beautiful Los Cabos". Mustn't remind people that all these wonderful places are actually in Mexico. Marketing Zihua has to be different than that aimed at the 1 or 2 week all-inclusive crowd. El Andador or Paseo del Pescador is the walkway from the pier to just past Xiguacán at La Madera. OK, then the stretch that is always in need of repair is from La Boquita to Xiguacan. Rob, How old is the walkway from the bridge to La Madera. Our first year it looked brand new, at least the rope guard rail and the lights but I can't remember what year that was. my experience is limited to the past 10 years, the last two as a seasonal resident in a Mexican colonia above Zihua. In general terms Zihua could be spruced up a bit, the smaller collectivos work well for reliable cheap transport but they are difficult for a visitor to understand where the route will take them. Maybe a central bus kiosk near the Mercado central in the park opposite Electra would help? Improving the walkways to Playa Madera and more trash cans along playa principal and in el centro would help. I can't really speak to Ixtapa, I go there only for a specific purpose or service. Overall improving the populace environmental awareness with trash would help. As above. In addition, for those of us living in smaller towns, there's the cost and inconvenience of travel to Zihua. A few years ago, I had to buy tickets from Anchorage to Zihua and Anchorage to Missoula. While ANC - ZIH is about twice as far as ANC - MSO, the ticket to ZIH was only $50.00 more. We'd leave ANC at midnight and arrive in ZIH a little after 3:00 pm. Now we drive to MSO, spend the night at a motel where we can park until our return, fly to SEA and then LAX, where we have to spend another night. Similar routine going back. If we don't drive to Chicago for our r/t, we have to use a motel by the Cincinnati airport and stay both ends of our trip for free parking and no over night lay over in Houston. For us it's worth the drive for we have family in Chicago and a place to leave our car. Since Delta closed their commuter line and Cincinnati was one of the their major hubs, it's hard to get flights with out a over night. Apple Vacations offer all kinds of deals to the Caribbean, both Islands and East Coast of Mexico- very few to our Paradise. Marketing all inclusive is essential, it is the main artery for most to new areas. If there was a survey to determine how visitors had discovered their favourite area, for most Canadians it would be all inclusive vacations. This applies to all coastal areas. If there were no all inclusive their would very few flights. and very few tourists. We now rent in Riviera Maya, PV and Ixtapa . Rob, just as a point of interest regarding Ixtapa we have been traveling with a golf tour company for almost 20 years now. We started with one week AI golf trips to Acapulco then Manzanillo then Ixtapa, and for the last nine years it's been Puerto Vallarta. On the last trip 3 weeks ago I asked the tour company owner why they don't go to Ixtapa anymore. We like it because it's just a taxi ride from our annual two weeks at Arena Suites. His response was although everyone loved Los Brisas the golfers complained about the golf course maintenance. P.V. have nicer golf courses. We talking about 300 people a week for three months every year that Ixtapa lost due to poor golf course maintenance. Course was in great shape last year, I guess if you want Phoenix or Palm Springs courses groomed to perfection, this ain’t the place. This year it’s good you didn’t come, course is in terrrible shape , the greens were not cut for a month, rough as well. Depending on who’s talking, they fired the company that maintained the course(not fonatur). upon that the company took all there equipment leaving Fonatur with nothing but long grass. Very poor planning on there part. Talk about ducks not in a row. From a Seattle tourist perspective we keep coming back to Zihua for what it is; quiet, reasonably humble, beautiful and reasonably easy to get to. We drove through Ixtapa once, and that was enough. Cabo is about as far away from being in MX as one can get while actually being in MX. Cancun could be a nice option, but it does not offer us too much more for the distance to get there. Although we could head over there for a change. Proximity and ease of travel is as important as costs. Generally speaking the west coasters hit Hawaii, and the east coaster own the Caribbean. I can't see why I would come to Zihua if I lived on the east coast when I have the entire Yucatan so close. It's neither cheap nor easy for the few of us on the east coast that come to Zihua. On United from Newark or Aeromexico from J.F.K. it's as if their just not interested. I just saw a flight quote from Interjet that's not much better. The only Mexico advertising we see is for Cabo and after the hurricanes that walloped the Caribbean and the Florida Keys plenty of people will be looking for a new place to go. I agree that the rowdy bars, the problems with the pier and the walkway don't help , but we four fisherman will be back again this year. we agree that east coasters have a greater challenge. Hence possibly the point of the article regarding spending more advertising dollars in areas where there is more low hanging fruit to bear. I refuse to fly out of JFK!! So I tolerate the limited flights out of Newark on United. I'm coming down in 2 weeks. There are no same day connections except on the Saturday or Sunday. I have to travel to Mexico City - spend the night - travel to Zihua and because my connecting flight is on a non United flight, I have to pay for a checked bag. Same deal on the way home.....have to fly to mexico city then to houston....spend the night....fly home the next day. Yet if I want to go to Cabo, I can fly direct most any day of the week. I live in New York and we will be returning to Zihuatanejo after 7 years. We have been to the Caribbean and Yucatan during the years in between. Of all of the places we have been Zihua is our favorite and always our number one choice. This year I was able to score tickets for $450, this is very rare. We are always looking. Those same tickets today are back up to $800. We love the caribbean but the Yucatan is not our favorite place to go mainly because of the weather. It seems like most of the time we go there are storms constantly running through. Many times we have found ourselves buying sweatshirts and wrapped in towels on the beach. I could not agree more if I tried in terms of the "BS" stat of "The local Oficina de Convenciones y Visitantes (OCV) claims that over a million foreign tourists have visited our destination during the past 3 years. I gotta call BS to that. I simply don't believe that." Stealing a line from the movie 21, "I can do simple math." Below are grossly inflated hypothetical numbers in terms of ALL, not just foreign flight arrivals. All flights 190 people max capacity. A poster's idea of promoting Ixtapa and Zihu - an area of tourist taste differences is fantastic. The tourist wanting more comforts of big city USA heads to Ixtapa, and the Zihu experience is for authentic Mexico tourist tastes. A great position to be in for OCV because they could spin both areas as destinations wrapped into one. Not a new concept, I think they don't know what they have. All comment below are IMHO(all though I own a business in the area). Ixtapa: requires a shot in the arm in terms of modernizing its resorts, Azul not included. The area needs more "Stuff" to do, attractions i.e. a dinner theater, a cave to snorkel into, a well stocked grocery store for the condo owners. Many condo owners don't really want to travel to Zihu for frequent meat purchases and such. The foreign tourists have two(there are more) major anxieties, they want to speak English, and eat American food - Cancun and the like delivers these. More Americanized food served such as; fried chicken, big American hamburgers. Modernize the buses, and support and promote more resort staff to learn English. Rental Storage units to accommodate our tendency to over consume - need a place to put our "stuff." To achieve some of the above it will take educated, invested in improvement, humble officials to ask(hire consultants) for help, and visionary officials to collaborate with agencies in order to bring the higher dollar spending tourist back, and to the area. Phatman nailed it. I know Z more than Ixtapa, but spruce it up and clean it up. The water quality in the bay has definitely deteriorated over the last 20 years. Make it safer for tourists and locals (restaurant owners). I realize all of this is easier said than done. I love Zih more than any place in the world and can hardly wait until we arrive for the last week of November. I've been coming here for 13 years, first as a tourist and now as a small condo owner in the Madera neighbourhood. I'm Canadian and many of the people I know back in BC would never have heard of Zihuatanejo if I hadn't introduced them to it. Some have heard of Ixtapa and always comment on they wouldn't want to go to an all-inclusive experience. If you haven't heard of it, .... you're not looking for it. Right now I see the primary barriers to tourism here as fear of safety due to the constant bombardment of news of crime in the area, and the reality of the lack of police force, prevalence of cartel activity; the dirty unkempt and UNLIT walkways, streets and waterfront; the lack of organized tourism to easily access nearby beaches, towns or activities (tourists must hire private guides etc.) and insufficient tourism activities to attract a younger crowd. The ocean should be the primary reason to come here, so lets see boats with life jackets, ecotourism activities mainstream. Yes, there are us who are a committed group of Zihua lovers of a certain age....but to move forward and build an area that will endure, more needs to occur. Plus, honestly the more I travel Mexico, although I love it here and will always commit to returning as long as I can; the prices for hotels and meals elsewhere are much better. Sorry, that authentic thing is an ad campaign that's already been taken: Autentica Cuba! The purpose of the marketplace is to meet the needs and wants of the customer, real or imagined. Zihuatanejo has a lot to offer but unfortunately it doesn't seem to be offering a service/product that the marketplace is looking for. Once the want or need is identified then the product/service is comprised of the the 4 Ps: Place, Product, Price, Promotion. Zih must get the horse before the cart, that is, identify the wants and needs and the marketplace. There are a number of methods used to successfully complete this process, focus groups being one. Indeed, at this point Zih doesn't even know who the marketplace is let alone knowing what they want so that it nail down what it wants or needs. Back to basics, back to basics. Totally agree with you Gringo Viejo. Living in the Toronto area, promos for this area are mostly Ixtapa focused .I don't ever recall hearing anything about ZIH . Plenty about The Mayan Riviera, PV and occasionally Ixtapa and all of it for AI offered by travel agencies or airlines who have packaged deals with the hotel owners. Whether you like it or not it is the mass marketers have defined this area and will continue to do so whether its to Mexicans from the big cities or sun seekers looking to escape NOB winters if only for a week at a time. If you want to change that, then the community and authorities need to establish a strategic focus on the market they want to go after and how does the current situation measure up. If you want to target the more affluent traveler, address their wants and needs . Do a really realistic appraisal of how the current situation stands up identifying all of the shortfalls. Needless to say there are far too many as other posters have pointed out. Then ind the funds and the "doers" to implement the strategy . Unfortunately given all the problems that this area has with corruption, let alone drug violence I find myself laughing at my own words, as I can't see that ever happening at least for the short to mid term future. In our own situation we have been coming to this area since the mid 80’s and have had a condo in Ixtapa for the last 6 years. We stay here 3-4 months a year and travel back and forth a few times during our stay. Our kids, their families, friends and other relatives will drop by for a week or two while we are here but thats been changing as their own situation changes as well as the overall situation here continues to deteriorate . We really do like this area and its people are amazing. Given all the countries we've been to that's saying something. Whatever it is with this place its sort of magical but if it continues to deteriorate I do think we will relocate ...where haven't found it yet. . True to a point but, if you have a new or better product, you need to introduce it well, in order to create the needs and wants of the customer. I appreciate all the feedback this post has been getting. Thank you to everyone who has responded so far. Except for the part about being BASIC, I couldn't disagree more with the comments above. Not everyone likes scotch or sweet potatoes or jazz. But those who do learn to identify the quality and characteristics they like. Same goes with Zihuatanejo. I have always said that Zihuatanejo isn't for everyone nor does it aspire to be, but here you (and others) are suggesting that it should conform itself to the market because the market rules. WRONG. How can people who don't know anything about a place know what they want from it? Most folks seeking a vacation destination are NOT looking for the simple rustic offerings of Zihuatanejo, and that is fine. Let them go to Punto Peñasco or St. Pete Beach or wherever there are McDonalds and KFCs and where everyone speaks English and posts prices in dollars. Zihuatanejo is what it is, and its repeat visitors like it as much for what it is as for what it isn't. The moment it starts competing for folks seeking Miami Beach or Disneyland or Cancún or Los Cabos or even Vallarta, it will only continue to lose to those places. You should never try to be what you aren't even though it seems a lot of people waste enormous amounts of time, effort and money doing just that, trying to be what they aren't and failing miserably, proving the constant truth of the Peter Principle. The same goes for vacation destinations. I see Zihuatanejo as a niche market. It's the perfect place for folks looking to experience an honest down to earth real Mexican community while having the modern conveniences that Ixtapa offers nearby. Similar to Vallarta but smaller, more intimate, less contrived, and more authentic. Zihuatanejo is generally for the more adventurous, Ixtapa for the less so. If you need to be entertained with attractions and sideshows, go to Florida or Cancún. If you want to relax and enjoy nature, we're your place. Adding Disneylandish attractions to play the mass market game such as offering enslaved dolphins suffering their existence in a swimming pool or noisy ATV's to ride all over our beaches squishing sea turtle eggs and terrorizing other beachgoers is like prostituting oneself, and I certainly hope we don't go any further down that road than we've already gone. It has already failed us miserably. It's not who and what we are, and other places do it much better because that's what they're all about, it's their main attraction, so leave it to them and seek out vacationers who are couples and families, fishermen, surfers and nature lovers. Folks content to RELAX on vacation, experience local Mexican culture and enjoy warm friendly people and delicious food. People unafraid to try to speak our language as they venture out to discover and explore our community. There are already enough Miami Beach type destinations. 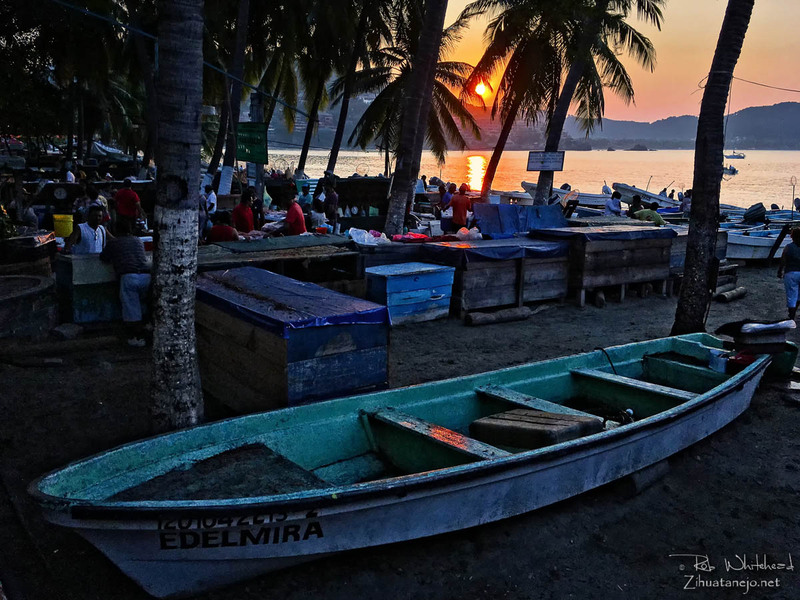 There are very few places like Zihuatanejo, and because we haven't been taking care of the goose that lays the golden egg we've been losing our natural market to other places that offer what we used to. We don't need noisy bars, shady casinos, sad enslaved animals, or bright flashing lights. We need affordable flights, peace & quiet at night (and it would be nice during siesta time), upkeep of our basic infrastructure, and basic law & order. But if we go the Disneyland route then new folks will be brought in to operate the new attractions, meaning locals remain sidelined from the prosperity they should be enjoying (Ixtapa already has done this to locals to a large degree), and we lose our own identity and become something we are not. Not to mention the eventual economic failure as we lose to the natural markets competing for the same tourists. So I say we need to fix what we've stupidly allowed to become broken. We need to address our old neglected problems, especially in the case of Zihuatanejo. Ixtapa requires different measures than Zihuatanejo to recover its own glory, measures that I won't go into now. We need to define our vision for the future, plan for it carefully, and adjust our model accordingly to meet those goals. Our current tourism model is totally undefined and extremely unsustainable, and it is destroying our natural attractions. Right now it's every man for himself, and especially in Ixtapa it has become toxic for the local economy. If we are to remain a destination for nature lovers seeking peace and tranquility then we need to clean up our bay, protect our coral reefs, upgrade our infrastructure to include parking areas and public bathrooms at our beaches, and reverse the process that has allowed downtown Zihuatanejo to become an open all-night cantina and open urinal. And we need to take our community back from the organized criminals. Until then, everything else is cheap talk. Just my humble opinion from a lifetime living in tourist destinations. Your mileage may vary, especially if you came here from somewhere else to suckle from our cash cow. Except for the part about being BASIC, I couldn't disagree more with the comments above. Not everyone likes scotch or sweet potatoes or jazz. But those who do learn to identify the quality and characteristics they like. Same goes with Zihuatanejo. I have always said that Zihuatanejo isn't for everyone nor does it aspire to be, but here you (and others) are suggesting that it should conform itself to the market because the market rules. WRONG. How can people who don't know anything about a place know what they want from it? Most folks seeking a vacation destination are NOT looking for the simple rustic offerings of Zihuatanejo, and that is fine. Let them go to Punto Peñasco or St.Pete Beach or wherever there are McDonalds and KFCs and where everyone speaks English and posts prices in dollars. Zihuatanejo is what it is, and its repeat visitors like it as much for what it is as for what it isn't. The moment it starts competing for folks seeking Miami Beach or Disneyland or Cancún or Los Cabos or even Vallarta, it will only continue to lose to those places. You should never try to be what you aren't even though it seems a lot of people waste enormous amounts of time, effort and money doing just that, trying to be what they aren't and failing miserably, proving the constant truth of the Peter Principle. The same goes for vacation destinations.
" Right now it's every man for himself, and especially in Ixtapa it has become toxic for the local economy." Don't get me wrong, I love Ixtapa. Especially its residential area and what's left of its wildlife. But the exclusively all-included schemes being used by the majority of the hotels in Zona Hotelera I is killing the shops and restaurants, and I think the condition of the commercial centers speaks for itself. Those restaurants used to do a booming business as did many of the shops. I frankly don't know how most of them hang on. I do know many pay exorbitant rents. Watching them run out of money and close, only to be replaced by some bright-eyed innocent newbie from one of the inland cities with a big dream of making it in paradise, only to watch the cycle repeat itself as they run out of money, close up and move on. It breaks my heart, and I know we can do better. But it sure seems none of the people responsible for tourism policy have a clue what they're doing. Making false claims about the number of warm bodies they claim to be attracting to Zihuatanejo-Ixtapa with their so-called promotion that no one seems to recall seeing, as if the busloads of folks who barely spend a peso here represent some wonderful benefit to the community of over a hundred thousand folks dependent one way or another on tourism for their income. No amount of busloads of people so "thrifty" they bring all their food with them is going to help our community survive. We need the Ixtapa hotels to only offer all-included as an option, not the only package. If all the tourists we get in Ixtapa only consume at the hotels, then all those ancillary businesses meant to support the tourist trade in Ixtapa will keep failing, and that isn't what Ixtapa was designed for. Rob, I understand your view and what you want for Zihutanejo but if it is not what the market wants then you are selling refridgerators to Eskimos Yes, it can be done but at a very high cost for Promotion, a cost so high to make the venture a financial failure. It would appear the demand is too small to feed the supply. I fully understand your love and hopes and dreams for the area but --- oh well, enough talking to the wall. Agreed. Now all you need to do is get those sticky fingered politicians to hire someone to promote this lovely place. Couldn't agree more with the line "So I say we need to fix what we've stupidly allowed to become broken". I'm afraid that like Fly we will have to relocate if it gets worse. I say that, then everytime I get back down there I realize that I am hooped. I love Zihua, warts and all. Here's hoping. Maybe realizing that there is a problem is the first step. Have a good night everyone. I completely agree with yu, Rob. If Z. Becomes like PV, or (eek!) Cabo, I,ll have to find another "niche" secret place! More and more Mexican tourists are coming by bus every year. So I just don,t go to the beach on weekends. I think we have enough tourists as is! Fabulous pix as usual, maestro. Felicidades a Lupita for her efforts distributing donated items where they're needed. I've only been coming regularly to ZIH for ten years, but in that time it seems the Zihuatanejo I was originally drawn to has been nibbled away at from both ends: First, ever-greater numbers of Mexican tourists arriving by the busload to stay in one place, party on the beach and consume mostly food & drink they've brought with them in coolers. Then, at the high end, all the luxury condos, the misplaced efforts to build a mega-cruise-ship pier, and places like Loot trying to do a Zihua make-over as a glitzy, "lifestyle" destination. Neither, it seems to me, embraces the laid-back scale and tempo that's made Zihua so special and sets it apart so remarkably from other Mexican resort areas. I just hope the place's future doesn't involve a deal with the devil, trading all that's unique and wonderful for the immediate gain of a few profiteers and crooked politicians. Jeff, your and Rob's comments are absolutely bang-on. Let Ixtapa be Ixtapa, for those who want that kind of thing. It's nice and close to Zihua......but not too close. I always thought that marketing promoting both places for what they are....Ixtapa, the typical AI destination, with all that implies, coupled with Zihua, what the travel agents call "the real Mexico"...was the best way to go. They called it "two distinct destinations in one". In response to a post above, my wife and I were, in fact, introduced to Zihua exactly that way. 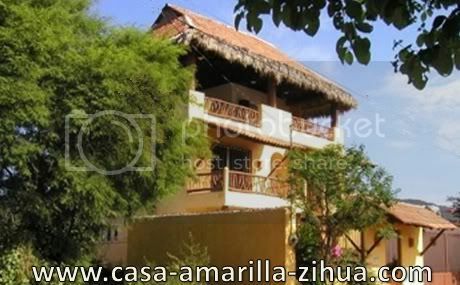 In the mid-90's we stayed AI at Villas Paraiso in Ixtapa and rode the buses into Zihua. We never stayed in Ixtapa again, though I won't knock it.....for those who want/need it. HolyMole, the same thing happened to us about 15 years ago we won a trip to Ixtapa to the Melia Azul and we took the bus into Zihua every day and couldn’t wait to get back and stay there. It just felt so special. I agree to the jeff thoughts , I have been living in Ixtapa in the golondrina's renting different houses condo's for over 10 years. I love the quiet and all the bird watching, bike paths. I never even think about the hotels over on the beach. To me the hotel strip in IX and La Ropa are the exact same thing crowded overbuilt overrun with uncaring party animal drinkers trash throwing fools. I still go to all the beaches from tronconies to la barra. The real reason to come to the area is there are beaches for any kind of day 8 days a week. I live in NYC and visit my sister in LA to take air alaska 3 hour flight to zihu . I always feel like I am going to town from Ixtapa to zihu when I go grocery shopping to zihu and the new grocery store mertz in Ixtapa is getting better all the time. There have been more people in Ixtapa this year in the off season than ever before every weekend the hotels are full and there are a lot of tourist riding the bus into zihu with me . Someone else has said if they come once to a hotel and are curious enough to get out ride the bus and explore they will be hooked on whats left of the small town the sleeping fisherman village. As far as La Ropa the charm of the area is lost to the wealthy who have bought the view. La Ropa once was very quaint and laid back . The only charm left is Playa Madera, Principal the mercardo. I love living in Ixtapa right down the street from zihu the best of both worlds. I live in Colorado and fly out of Denver. Most people I know take a trip South of the border every spring to thaw out. I've been recommending Zihua and the surrounding areas for years to families and couples. These are first time Mexico visitors in many cases. Until recently many of them would take my recommendation and check it out. Unfortunately for the past several years the airlines out of Denver have increased their pricing (DEN to ZIH) to the point that most people I know are saying "no thanks". After decades of pricing in the $300-500 range we're now looking at Economy fares starting at $800+. Only the die hard Zihua fans are willing to pay that kind of airfare. If Zihua would like to see more Colorado $$$ it might help for the local tourism office in Zihua to work with the airlines that service our route. The other popular Mexican beach destinations have somehow figured out how to keep airfare within reason, why can't Zihua? (enjoying the whale, dolphin, sea turtle and bird watching along the way). Our 10 year old daughter just wrote a paper for school describing why tititas are her very FAVORITE food! -Troncones is considered a destination spot for surfers. -Barra de Potosi is the bird watcher's wonderland. -Snorkling, SCUBA & free diving offered at a variety of locations. -The Picante catamaran is an exciting option for exploring the coastline; excellent crew, snorkeling and the SUNSETS! 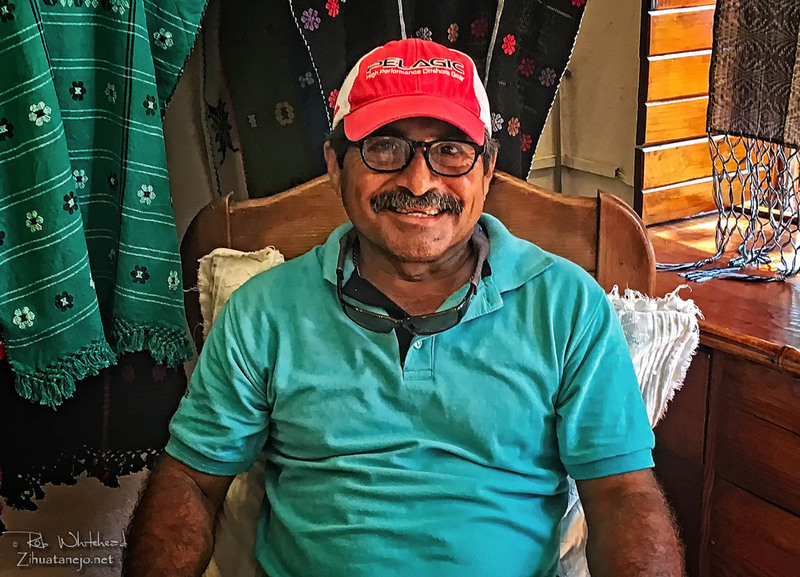 Whales of Guerrero Research Project is spearheading an ecotourism campaign empowering the community in the efforts to preserve natural resources in the region. We love this region as a second home, the appeal of Zihua for our family are all the opportunities to connect with nature, the family centered culture, the authentic cultural offerings at every turn and of course our close friends we have gained over the years. Reading messages like yours is why I do what I do. Thank you very much for taking the time to compose that very illustrative post. It means a lot to me and to the community I care very much for. I often have people ask about doing our vacation not as an all inclusive. People are curious and they want to know where you stay and how much it ends up costing etc. Sometimes people just need a little push to be a bit more adventurous and then they love it. Also many women feel like if they don’t do all inclusive they will get roped into cooking for the whole vacation. Well I assure them that is not the case at all. It’s nice to have a little kitchen for snacks and some cervezas and some eggs and you can cook if you wish but you have so many options and it’s fun choosing different places to dine out. Zihua has so many. The last couple of years of our vacation, the LOUD Pounding music from some bars all night long was not good. I feel bad for the people that live in Zihua and have to hear this all of the time. It just doesn’t fit in to the rest of the Zihua vibe. I have several friends that own bars and have music either regularly or at least on occasion. The follow the rules pretty strictly because when they don't the regulmentos are soon there to remind them and even fine them. The problem lies with the bars that are owned by the "untouchables" who often play loud booming music to an empty bar. Not sure much can be done about in the current situation. Great pics. Nice to see some great pics of the area that are not only about centro. Have been to some of the places pictured. Hope to go to more. Thanks for sharing your awesome experience and beautiful pics. It makes a person want to be there right now. You and your family must look so forward to returning! Very Nice Spread! I would say, however that Troncones is so much more than just a surfer's destination! Go spend some time there and you will see what I mean! You are disappointed with both the Quality and Quantity of tourists in Zih? Perhaps this is because the mix of Product, Promotion Price and Place is targeted that class (monetary) of customer? Perhaps Zih is not branded towards the Quality of customer that is now coming here? Question: Do I remember correctly that the AI craze had not hit here when I first came in 2000? If so, then why has AI proliferated? Because, as John Dillinger said when asked why he robbed banks? "Because that is where the money is". Like you, and many others, I have empathy and sympathy for the local entrepreneurs. It is a touch market. But crying over spilled milk (better knows as "pi**ing and moaning" but doing nothing isn't going to make things better. No doubt the Local Tourism folks (and maybe Federal) are not producing. Solution: Quit P**ing and moaning and get organized and do something. If nothing is done we will continue to beat this dead horse. All-Included is a corporate strategy, much like your mass marketing ideas, that have nothing to do with our community's well being. Some hotels use it wisely, others use it more selfishly. It was slowly adopted hotel by hotel in Ixtapa while local leaders were distracted salivating over potential multimillion dollar budgets playing LET'S BUILD A CRUISE SHIP PIER IN ZIHUATANEJO BAY and the ban against assault weapons was just being lifted in the USA, which unleashed a flood of violence along with the Mérida Initiative which effectively got the War On Drugs going full swing in Mexico, changing pretty much everything as far as what we can get done here in our region and how we go about doing it. Before we knew it most of Zona Hotelera I was exclusively All-Included. Local, state and federal tourism authorities have mostly been ignorant of the needs of our tourism industry and instead occupy themselves inventing ways to come up with happy stats to justify their bloated salaries, and thanks to this oversight the All-Included problem was upon us before anyone knew it. I may have been the first person to identify the problem and to bring up the subject publicly way back then. I certainly never heard anyone else discuss it before me. Now though, my words from 15 or so years ago are pretty much the common sentiment among locals and especially Ixtapa business owners. Finally there are folks organizing to look out for the well being of our community. I haven't joined any of those groups, but I try to keep up with their positions and their goings on. It's nice and easy for you to reprimand folks since you have no dog in this race, but that doesn't make the organized criminals go away and it doesn't put knowledgeable and motivated people in the positions of power where they can make a difference. You of course can't know what goes on behind the scenes, and I don't believe in betraying confidences, but my sharing the comments here, except these last two by you and me, is what helps get the right kind of attention to this problem. An election year is coming up, and at least now I am not the only person making the case for coming up with a local policy to fix the problem. Lots of folks with a lot more at stake than you or me now have the same opinion I had 15 or so years ago, and when the right people are in positions of power to make a difference I'll be sure they know what my proposals are. I'll be sure to do what I can to plant the seeds and see if they find fertile ground. You are of course welcome to make your own proposals, as you have done here, but I don't see them as having any relevance for our community because they will only benefit the big greedy anything-for-a-profit corporate hotels, which are collectively already the problem. We seek solutions for the community's well being, not for the profit margins of the big hotels. I have visited Z twice...both times 10 plus years ago. I have followed this board for years. Here is my 2 bits worth? 1.Have been visiting PVR every year at least once...sometimes twice (a month at a time). 2.Have always rented a condo/villa. 3.A number of years back I was contemplating a return visit, and made inquiries about rentals. Pricing was 30%-40% more than PVR. 4.When I queried the rental people as to why the gap...."That's the way it is"...was the reply....and I'm talking $2000+ US a month difference. Total indifference from the rental folks. This fact alone turned me off! 5.I am talking about anywhere from 8 to 14 people. I will be returning to PVR in February with a group of 14 for 2-4 weeks. 6.Air fare is a killer, when you have large number of people travelling. I would love to make Z my destination of choice...but the economics just don't make sense. Z has many more things to offer than PVR.....but...like others have said sometimes you have to look at the scale of economics. My wallet is NOT a bottomless pit. My posting above is from 4 years ago ....nothing has changed...you can control air fares if the demand is there. The only way to get demand up is to make it economically viable for people to visit. I don't do AI...I rent...but the rents charged in ZIH (I recently checked) are absolutely non-competitive with other area's....thus no demand for flights from the non-inclusive crowd. We rent...we shop...eat out...take taxis...charter for fishing ... aka spend money. AI is here to stay...live with it or ? Make the area competitive for those of us who choose NOT to use AI. I was in ZIH last year and am returning again this year....BUT due to a major airline problem this year (flight cancellation and lack of alternate flights), the chances of me returning next year are slim. Remember the movie "Build it and they will come"? Time to get your hammers out! In PV you can get more for less for sure. Thanks for all the fabulous pictures, and very pithy commentary. Much appreciated! I came to zihua in feb for a quick 2 week recon trip with a friend. We chose to stay downtown to be close to everything . BIG mistake....our apartment was on a street that had a bar at each end and the noise was unbelievable...every night till dawn. We were so sleep deprived it was sad. And we are seasoned travellers. Other than that, I love zihuatenejo, the market, the fish market, the people, the food! So for the next sojourn, my newly retired partner and I have secured a lovely simple Mexican owned bungalow overlooking playa madera across from casa azul. We will be staying for 2 months. I wrote a lot more on this post about the airlines and other destinations and it has disappeared ? Is there a limit on how many words one can use? The word limit is quite long, so I doubt you reached it. Sometimes I accidentally highlight and delete text without meaning to. Makes me mutter swear words. Maybe that's what happened to you. Perception of violence is the number one reason US tourism to Mexico is down. Flights to Zihua are expensive and connections are difficult from many US locations. I'm in the Milwaukee area and Apple vacations has a Friday charter flight from Jan.-Mar. It is fairly successful, however I think Apple must be very difficult to deal with, as they have not had an airline more than two years in a row for fifteen years. When I tell someone I spend my winters in Mexico, the reaction from well over half of them is-Is it safe? I do see occasional ads for Mexico in general ,but nothing specific for Ixtapa or Zihua. I rarely listen to over the air radio since getting Sirius XM in my car almost four years ago, but I used to hear Apple ads promoting Ixtapa about this time of year. don't know if they are still running. Occasionally I will see ads for Barcelo Hotels promoting their locations around Mexico. A few years ago we saw a tabletop display at our local Mexican Fiesta staffed by people from Ixtapa, one of which was from Las Brisas where we used to stay when we just came for a week at a time. On the one hand, the two existing golf courses are not well maintained, especially the Marina course. Palma Real is slowly getting better. And the amount of business they do is not great. But if there were a few more good courses, I could see where golf tourism could see a big increase over current levels. People who travel to golf have money to spend on dining and accommodations . Cabo does a big golf tourism business , and it is easier to get to for many people.